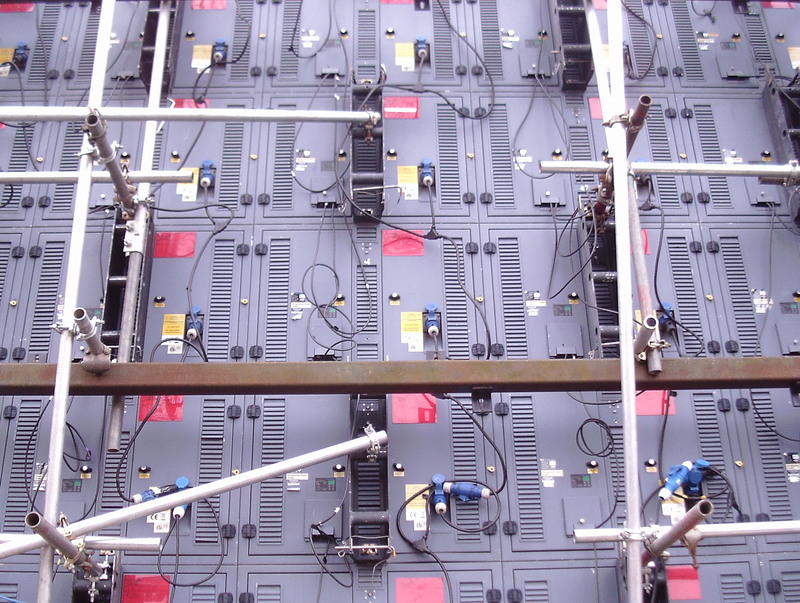 There are various ways of approaching the end of a season. Cardus, amongst other Paterian elegancies, wrote of it “August finds the game, like the sun itself, on the wane. Now the sands are running out every evening as the match moves towards its close in yellow light; autumnal colours darken play at this time of the year; cricketers are getting weary in limb, and even the spirit has lost the first rapture.” Football managers prefer the more prosaic term”business end“, or even the regrettably graphic “squeaky bum time“. Cardus was able to contemplate the pathos of the dying fall in peace because he was writing about the period between the wars when there was only one Division, and the Counties knew their place. Yorkshire would usually be Champions (12 times between 1919 and 1939), and always finished in the top five. The other five of the “Big Six” – Lancashire, Nottinghamshire, Surrey, Middlesex and Kent – would finish in the top half of the table (only once, three, three, six times and twice respectively did they fail to do so) : Northamptonshire, Glamorgan, Leicestershire, Somerset and Worcestershire would occupy the lowest rungs of the ladder. After the War, as the rules regarding qualification were relaxed, the ancien regime began to totter, and, after the introduction of overseas players, mere anarchy was loosed upon the Championship : Yorkshire frequently finished in the bottom five, and even Leicestershire won the title four times***. This situation could not be allowed to continue, and the tendency, since the introduction of two divisions, has been for a gradual slide towards the segregation of the “Big Six” (with Warwickshire replacing Kent) in Division 1 (plus Durham and one or two anomalies, such as Somerset and Sussex) from the lesser Counties, who are confined to the lower Division. Such is progress. The two main arguments in favour of this division are as outlined (by no means for the first time – they have been around since the nineteenth century) by Roy Webber in 1958. * The first is that it would “be of benefit in finding a better strain of county cricketer” ; the second is that it “would undoubtedly keep interest high right through to the end of the season … I imagine that we would have “house full” signs if, say, Worcestershire and Leicestershire were playing each other in the last match of the season with promotion to Division One at stake”. The first is an argument for another time, but I am doubtful whether the second has worked out quite as Webber anticipated. Relegation, it is true, is feared by the bigger counties (particularly by their coaches, who usually get the sack). On the other hand, they can reasonably count on being promoted again, if not at the first attempt, then the second. For the smaller clubs, the brief elation of promotion is usually followed by a season of humiliation and immediate relegation (as Derbyshire, Northamptonshire and – although they managed to hang on for a second season – Worcestershire have recently found out). Mike Newell (the coach of Nottinghamshire, who look likely to be relegated) may be worried about his future, but those of the smaller counties still in contention for promotion may equally be feeling some ambivalence about theirs. Although it is also not impossible that the scenario envisaged by Webber (of a climactic do-or-die shoot out) might happen (Essex and Kent, who, at the time of writing, are first and second, play each other in the last round of matches), the complexity of the points scoring system and the glacial speed at which things happen in Championship cricket militate against it. It is more likely, that Essex -say – will be promoted if they take two bonus points from their last match, unless Sussex take maximum points from theirs (and, of course, if the rain doesn’t make the decision for them). All of which is a preamble to my account of last week’s game against Essex, and some attempt to compensate for the fact that I missed most of it, due to family commitments. 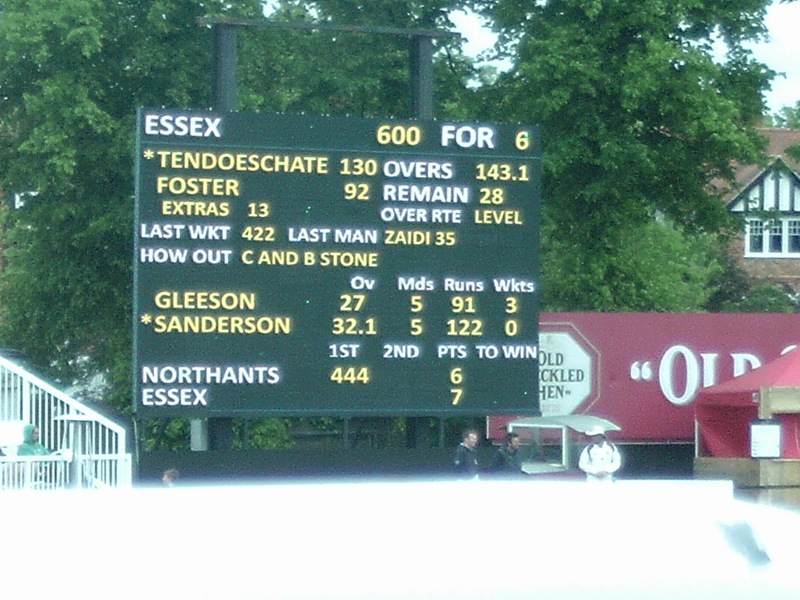 Essex began the match in first place, Leicestershire in second. If Leicestershire had won, they would have been in serious contention for promotion ; if they drew, it would still have been possible ; if, as actually happened, they lost by an innings within three days, then that hope would be reduced to a mere “mathematical possibility”. There have been various points throughout the season, which I have previously noted, where Leicestershire have failed to press home their advantage (not enforcing the follow on at home against Northants being the most glaring), but the final, fatal, one seems to have occurred on the second day. Leicestershire made 238 (thanks, largely, to Cosgrove, who has been huge this season). Our secret weapon, our midget submarine, our V2, Dieter Klein, soon had Essex “reeling” at 68-5 (his four wickets included Alistair Cook, yorked for 4), but, in the absence of Clint McKay (or a spinner) to deliver a knock-out blow, they soon stopped reeling, and pulled themselves together enough to make 368-8 by the close of play. But we tried, we really did. With the score on 53-2, and some light drizzle in the air, Mark Cosgrove gave a masterclass in time wasting, apparently suffering, at the same time, an attack of restless leg syndrome that compelled him to wander out to square leg between every ball, and some kind of obsessive syndrome that meant he had to remove every speck of dirt from the wicket before he could face the next delivery. We in the stands did our bit : we opened umbrellas, looked mournfully to the skies, shook our heads, held out our palms, took shelter from the rain (one of the player’s mothers gave a particularly convincing performance, I thought). We won a brief respite of half an hour or so, but it was no use and – as I have said – the innings defeat arrived shortly after tea. So that is it, I suppose. 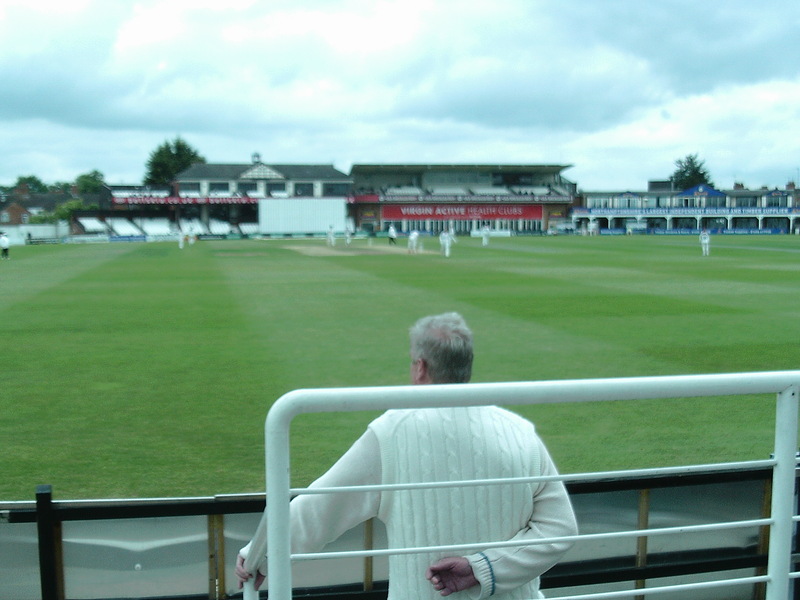 There are still three games to play : Leicestershire could finish anywhere between second and, not impossibly, last in the table, but I now feel I can return to my contemplation of the dying fall in peace. There was little drama, no displays of wild emotion, no-one burst into tears (of joy or despair), and there were no squeaky bums in evidence (though, thanks to the wet seats, there were – topically – a few soggy bottoms). I was, by the way, impressed by what I saw of Alastair Cook ; not on the pitch (where his contribution this season has been significant for Essex), but by his friendly relationship with the visiting supporters, and his patient dealings with various autograph-hunters and selfie-seekers, some senescent, some juvenile : one young Indian boy (wearing a Union Jack t-shirt) seemed particularly overjoyed to have had a picture taken with him. Late on in the afternoon he had evidently been called away on some important business (which turned out to be about the tour to Bangladesh). He had just packed away his kit in his (quite modest) 4×4, and started his engine, when a steward approached with a Mother and child in tow. He turned the engine off again, dismounted, and submitted good-humouredly to another lengthy photo-session. He didn’t really have to do this, and (however awkward his press conferences might be), I was impressed. * ‘The County Cricket Championship’ : Sportsman’s Book Club, 1958. ** Precisely the sort of “typically English seamers“, of course, that the ECB is determined to discourage. We shall endure. *** Wishful thinking. Actually three times. This hadn’t occurred to me in those terms before, but he is quite right, and I think that part of the appeal of Championship cricket to the retired (who make up the bulk of the crowd) is that it offers one of the pleasures of work, a structured day, with none of the pains. If a game is similar to employment for the spectators, it is, of course, literally work for the players, and very hard work it can be too, not least for the poor bloody infantry – those seamers. These days, too, with 20 over games on Friday evenings and, as here, a Championship match starting on the Saturday, there tends to be a night shift and a day shift, among both players and (I think – I don’t watch T20) the spectators, with the day shift arriving on the Saturday a little as though turning up for a beetle drive the morning after the Church Hall has been used for a Youth Club disco, hoping that there hasn’t been too much damage and no-one’s been sick in the flowerbeds. In addition to Masters and Porter, Essex had left out their other leading bowler Jesse Ryder (their fourth, Napier, was to limp off with what might have been a tactical groin niggle after seven overs) and Northants were without their top T20 bat Levi and regular seamers Kleinveldt and Azarullah. Apart from wanting to keep the bowlers fresh for the limited overs competitions, which seem to take precedence for both these clubs, there must have seemed little point in exposing them to pointless punishment on the Wantage Road pitch. Without labouring the point (which I’ve made before) or launching into a full-scale Monty Python routine, this is a pitch which has handed in its dinner pail, kicked up its toes and gone to the join the Silent Majority. I have (as Les Dawson used to say) seen more life in a tramp’s vest. With (as everyone knew) rain forecast for the last day, it was clear that there would be no result almost from the outset and the two shifts I put in (on the Saturday and Monday afternoons) consisted mainly of an exhibition of batsmanship from Ben Duckett on the first day and one of something closer to seal-clubbing from Ryan ten Doeschate on the third. Duckett (who eventually made 189 from 255 balls) is a short, angular man with a pugnaciously jutting jaw and a hint of the dandy about him (in the field he favours a baggy baker’s boy cap, off it, regrettably, a snap brim baseball cap worn back to front). He reminds me slightly of a young James Cagney. To describe him or his batting as “elegant” would imply a misleading element of languidity, but there is an impression of artistry in the way that he seems to have the time to select precisely the right shot for each ball in the same way that an artist might stroke his beard before selecting just the right colour from his palette before applying it to the canvas. The Whistler of batting, perhaps, or even – though his legs aren’t quite as short – the Toulouse-Lautrec. By contrast, Ryan Ten Doeschate’s innings on the Monday afternoon was about as artistic as someone smashing up a greenhouse with a baseball bat. He was eventually run out for 145 off 149 balls, with James Foster adding 113 off 95. They had passed the Northants total of 444 with only four wickets down and, after that, with no more bonus points to gain and, as it seemed, no prospect of a result, the battering they handed out to the bowlers seemed merely gratuitous. One of them nearly scored a direct hit on a man seated in the disabled seating area and they seemed particularly set on trying to hit poor Monty Panesar back out of the game again (he went for 0-133 off 22 overs). In the event, the Imp of the Perverse, mostly in the shape of Ravi Bopara, provoked Northants to collapse to 75-5 and they might have lost, if the last day had not, as expected, been washed out. 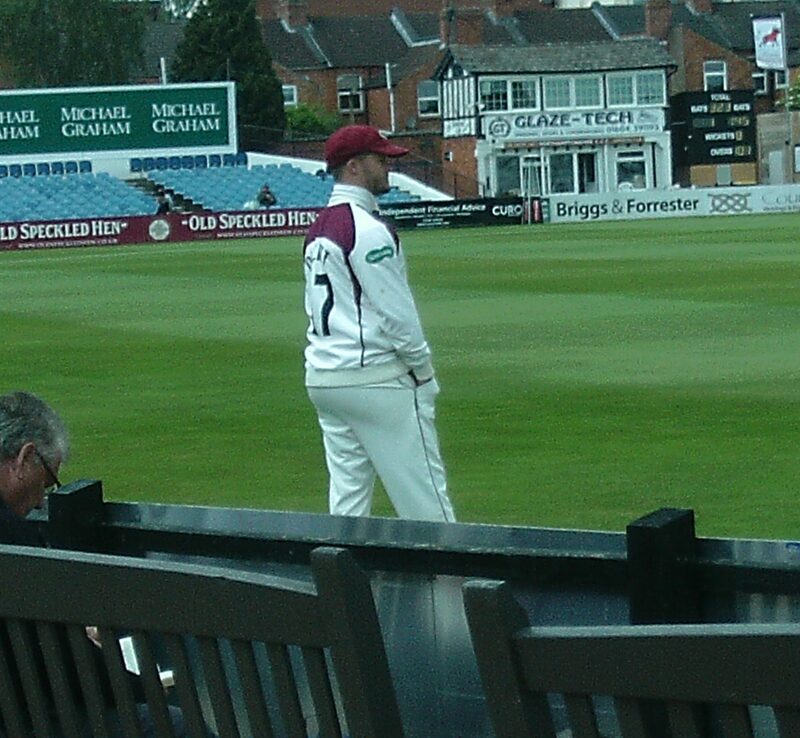 Would that have served Northants right? Well perhaps, but not their poor bloody seamers – Gleason and Sanderson, lately plucked from the Minor Counties – who had put in a combined shift of 63 overs, with no overtime. How does the old song go? “You bowl for sixteen years, and what do you get? Mighty frustrated and covered in sweat” and, as many an old seamer will tell you, dodgy knees, arthritis and a “weatherbeaten” face to boot.